This is a good way to start, don’t you think? It’s me, Kelly. I hope you’re doing wonderfully. Perhaps you remember me as a hungry fourteen year old with a bizarre love of coconut flour who exuberantly abused exclamation points and spent all her time either testing recipes or washing clothes into oblivion because she refused to wear an apron. That was either twenty minutes ago, or twenty years. I’ve honestly lost track of a lot, but some things just don’t change. I am incredibly grateful to those of you who reached out in my absence (which was almost 5 months long–eek! ), and long story short, I’m not dead. So that’s the good news! The bad news is that my mother’s health has unfortunately taken a turn for the worse. I discussed reasons for a hiatus in more depth back in October, but this year has by far been the most difficult one of my life for a number of reasons. Since my most recent post, which was in March, I finally had to face the weight of the events that were going on around me and deal with them best I could. Sometimes this meant taking my mother to a doctor’s appointment and spending the rest of the day in bed. I eventually came to grapple with the question of how I should approach returning to this blog, or whether I should return at all. Like all soul searchers, I considered why I was here at all. I started Foodie Fiasco (as a hideous site on Blogspot no less, and no, I will not give you the link) on June 10, 2011, which was shortly after my mother had received her first diagnosis. Side note I also graduated high school on June 10, exactly five years after starting my blog, because that’s how the universe works. My mom could no longer cook so, as a spunky 13 year old who had just lost 40 pounds, I set up a blog to keep track of the healthy recipes I made for her. I just wanted to contribute and know that I was helping someone, and this was how I did it. Five years later, this still could not be more true. If you are here reading this, sharing in my little corner of the world that unabashedly celebrates food and the joy it can bring, then you have personally made a wonderful impact on my life and I am forever grateful for you. And now I want to keep sharing my favorite recipes with you. That is why I am taking a year off between high school and college to work on the blog, and am proud to say that I will be posting new recipes every Monday and Friday! 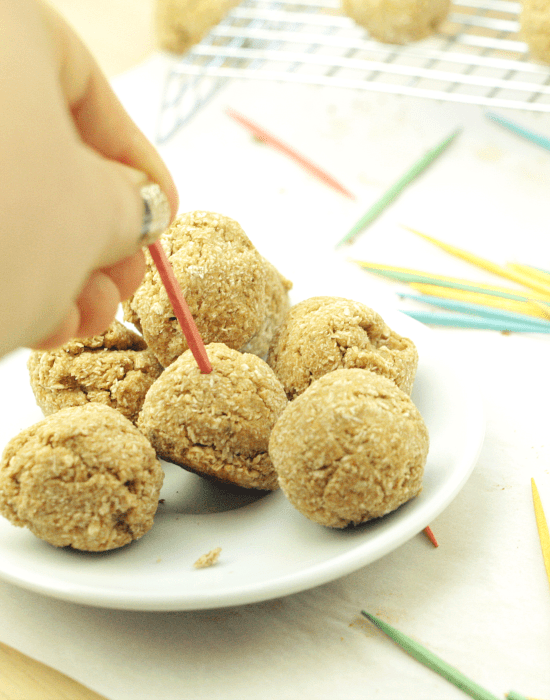 We’re talking single serving snickerdoodle cookie dough for 60 calories a batch. Super healthy and high protein red velvet truffles. Brownie batter bites that got eaten in five minutes at the party I brought them to. Decadent caramelitas made healthy. Quiche with an almost unholy amount of cheese (all natural of course and still low calories because the cheese saints were smiling on me, also please appreciate the ‘holy’ pun). So the point is that we’re going to have a lot of fun together. And we’re going to start with muffins! Because muffins are fun. And you’re fun. So we all have a lot in common. Also I could talk for hours specifically about how much I love these muffins. They’re kind of my pride and joy. Each muffin has only 86 calories (!) and 2g net carbs (!! ), but packs 11g protein (!!!)! Now a note on protein powder. I’m head-over-heels for some vegan protein powders, namely Sun Warrior, but I’m not sure vegan powders will work here. You’ll have my eternal love and gratitude if you try this with a vegan powder and/or vegan egg replacer and report back, but proceed with caution as I have absolutely no idea if that will work. Meanwhile, please enjoy this single serving cookie dough, these protein-packed coconut macaroons, this protein ice cream, and these chocolate peanut butter protein bars, as they all call for vegan-friendly protein powder. Meanwhile, the quest for truly vegan protein muffins continues. Stay tuned kids. So anyway I’m basically in a relationship. When I say my love is rich, tall, dark, and handsome, who says this fairy tale hero couldn’t be a muffin? ^See these are things only a food blogger could remotely get away with saying. So it’s good to be back. Preheat oven to 350°F. Grease or coat a muffin tin with cooking spray and set aside. In a large bowl, combine protein powder, erythritol, coconut flour, unsweetened cocoa powder, baking powder, and salt and mix until uniform. Combine 1 cup of the almond milk with 6 squares of the chopped chocolate in a microwave-safe glass measuring cup. Microwave for 1 minute and stir until smooth. If the chocolate has not completely melted, continue microwaving in 15 second intervals, stirring in between, until the chocolate has melted and the mixture is uniform. Add remaining ¼ cup almond milk, egg whites, and vanilla extract and stir well. Add wet ingredients to dry ingredients and stir until completely combined. Scoop half the batter into the prepared muffin tin (so the cups are half full). Sprinkle 2 squares’ worth of the remaining chopped chocolate onto the batter (so sprinkle some chocolate onto the batter in each of the cups). Cover each of the cups with the remaining batter (so the cups are now full), then sprinkle the remaining 2 squares of chopped chocolate on top. Bake in the oven at 350°F for 18-20 minutes, or until a toothpick inserted in the center comes out clean (disregarding the melted chocolate of course). Let cool and devour. *See note in post regarding protein powder. Apparently the ideal salt content decreases with vegan protein, so I would use 1/2 teaspoon of salt instead per Andrea’s suggestion. Happy baking! How have you been? Please update me, share something you’d like to see now that the blog is back, give recipe requests, etc. I'm so happy you're posting again (muffins look fabulous by the way) ! Looking forward to your next posts. And I so do hope that your mother gets better soon. She should be proud of having such a caring daughter. You go girl! 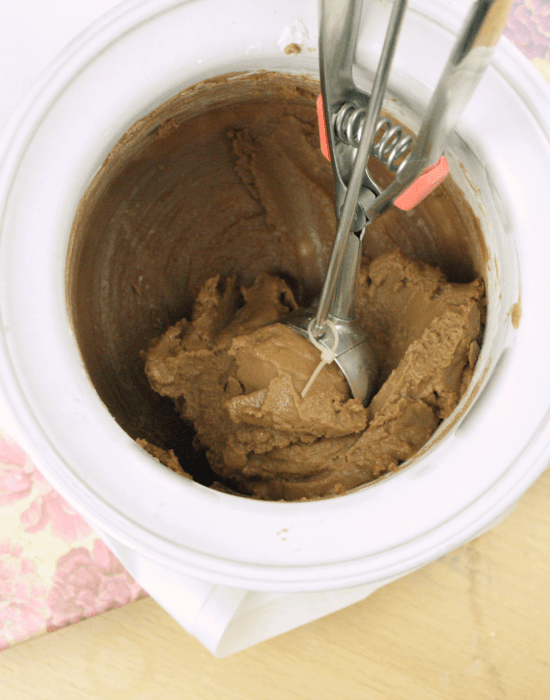 What's your favorite kind of sugar free chocolate to use in this recipe? So far, my favorite is Lily's. It's the only one available locally and I can't justify spending $35 on a whole box of something I can't sample first :) I'm so glad you're back, and I'm sending thoughts and prayers to you and your family. The recipe looks great. I am a total chocolate junky, so this may save me from myself. I looked up the Quest protein powder you suggested. Unfortunately, it contains sucralose. Since I react very badly to artificial sweeteners, I will try another brand of protein powder. Amy suggestions? Hi Kelly, just saying hi :) It's so good to see you again - I kept checking in to see if I had not gotten email notification, and I was so glad to see this notification today! I'm with you and your mom, sending you all good thoughts in the world. You're an adorable young lady, and I wish you a successful and happy year of blogging until you hit college. It may be hard because of your mother's health, but I hope that blogging, cooking up great recipes and writing fun posts will cheer you up. Congrats for graduating from high school, btw!! I'll be making these muffins, can't go wrong with chocolate protein decadence. Rock on! Glad your back. Surely did miss you. Prayers for you and your Mom. Hey Girl ! glad you are back.... we have been waiting for you. YOU are the queen of single serve low calorie, low carb, grain free, sugar free, desserts ! AND THE QUEEN OF COCONUT FLOUR ! THANK GOD ! lol I have been trying to come up with my own since you been gone.... but I am not the creative type you are.... WELCOME BACK ! so sorry to hear about your mom though. anyway..... thanks for coming back..... will be looking forward to all your TASTY low calorie creative efforts. THANKS ! Hi! So, I rarely post comments because I always think that people are way too busy making delicious recipes for us, but I have this time! Welcome back! I just wanted to say that you've made my day, and basically I'll spend my weekend cooking some of your treats. Oh and thank you, really, for sharing so much more than a great recipe. Hi, I'm wondering if I can use coconut sugar in place of the erythritol? I am very glad to have found this post as my son is doing the high protein/ low carb/ low sugar diet. I would rather make him some delicious muffins than for him to keep buying stuff. Thanks for your time. Prayers for you and your family. Hi Anji! You can absolutely sub coconut sugar for erythritol. Best of luck to you and your son! The 10 squares of unsweetened dark chocloate...is this from like a dark chocolate bar? Can you just toss in some sugar free dark chocolate chips? If so about what weight? Hi Darlene! Yes it is from a dark chocolate bar, and 10 squares is 83 grams, so about 3 oz. Hope that helps! They look so yummy! I just perfected my sugar free chocolate recipe so I'll have to see how they work in this recipe. I don't do sucralose either so I'll probably try egg white protein. Fingers crossed that it goes well! Your sugar free chocolate recipe sounds amazing!! I would love to see how that works in these. I also try to avoid sucralose, so (when I'm feeling up to it) I mix chocolate whey powder (60%) with chocolate casein powder (40%) to make my own sucralose free protein blend. Hi Cynthia! I did the math and it's 83 grams, so about 3 oz. Best of luck with everything! I'm allergic to coconut, can you suggest an alternate low carb flour that would yield the same results? I'm new to low carb baking. Thank you! Hi Stephanie! Unfortunately coconut flour is very unique in its properties and is therefore almost impossible to substitute. I do wonder if almond meal would work instead here because the quantity is relatively small? I haven't tried that though so I don't know if it works. Sorry I can't be more help! Hi Kelly, I just made this for the first time a few days ago and came on here to say thanks so much for a great recipe that tastes amazing. I didn't have coconut flour at hand when I was making these so I used ground almonds instead as it was the closest texture to coconut flour I had in the house. They turned out absolutely great with the ground almonds, and looked exactly like your pictures (both the batter and the cooked muffins). Hope this helps you and the original poster here. Hi Kelly, I love your recipes! I'very made a couple and just love how they fit in my diet and taste good. I do have a question about this muffin recipe though. When I make the batter (following your instructions closely), mine always ends up being very fluid. What can I do to make it more consistent like the pictures in your post? Hope you and your mum are well! Thank you for your kindness Anouschka! As for the muffins, what kind of protein powder are you using? That definitely has a big effect on the texture of the batter. Could you use stevia instead of the erythritol? I am really excited to try this recipe, I am doing a low glycemic diet currently. I saw the comment of being able to use Stevia instead of the Erythritol. Would the amount that you use be the same amount? Hi Vanessa! It depends what kind of stevia you use and what the directions are. If you're using a sweetener that bakes like sugar, then just use the equivalent 1/2 cup sugar. Hope that helps! I made the high protein chocolate muffins today but with alot less choc are as I didn't have alot. I entered the muffins into MyFitnessPal and got 120 calories... But I only got 9 muffins. The carbs count was quite high though, 17.5gr per muffin. I'm not sure why? I used flax meal instead of egg whites, maybe that is why? But even so... They taste really great! Hi Michelle! I think the chocolate may be the culprit. I used Simply Lite sugar free dark chocolate to calculate these nutritional facts. Hope that helps! Hi from south africa!!!! I am so glad you're back!!! Thx for the great recipes! I'm a little confused.... Are the 10 squares just unsweetened chocolate or an actual sugar free product? Thanks! Hi Irene! I use 10 squares of Simply Lite dark chocolate. It's sugar free, tastes great and they sell it at Trader Joe's. That being said, I believe 10 squares is the equivalent of 2.5 ounces of chocolate, so you can just use 2.5 ounces of any chocolate you want. Hope that helps! Today was my first time trying this recipe, and they are mmm mmm delicious. I did the almost vegan version (because I used egg whites). I found the batter to be quite stuff when mixing in the liquids so I added some extra coconut milk (not much as this was my first attempt and didn't want to stray too far away from the original recipe). I used coconut sugar, coconut milk, and sunwarrior vegan chocolate protein. I think I accidentally used too much baking powder. Also I ended up with 10 muffinsn. With the coconut sugar, I only had 9.6g of sugar per muffin. Washed it all down with coconut milk. Me and my taste buds are oober happy! Hi. This recipe works fine with vegan protein powder. I used chocolate SAN plant fusion, added a banana, and baked an extra 5 min. What didn't work was the amount of salt. These are way too salty, so I recommend 1/2t instead. Hi Andrea! Thank you so much for making these, and I'm really happy to hear they work with vegan protein powder. I'll add a note to the recipe. I wonder what caused the salt issue? I make it with this amount and it's just right, but I feel like that's probably dependent on the type of protein. I'll also include that in the note. Thank you again for reporting back! I hope your mother is doing better. Have you tried making your muffins with Stevia, raw honey or monk fruit? I've read these sweeteners have some great health benefits. Of course we have to make sure whatever sweetener we use it isn't GMO laden. Hi Michael! Thank you so much for the well wishes. I love NuNaturals stevia and while I haven't tried it with this recipe, I imagine it would work well. I don't have any experience with monk fruit and I don't eat honey because I follow a low carb lifestyle. If you try these muffins with another sweetener I would love to hear how it goes! Kelly, Tried these for the first time and love the taste, but they came out dry. Used the same protein powder and other ingredients you recommended. Any suggestions for how to add moisture to this recipe? These look great! Can you please tell me how many muffins your recipe makes? Thanks! Hi Janet! This recipe makes 12 muffins. I made these tonight using 3 large free range eggs as opposed to just egg whites. I also made a few more tweaks, like adding 2 tbs of melted coconut oil (extra fat) and 2 tbs of psyllium husk powder (extra fibre) and used Stevia which I cut back to about 3 tsp as my protein powder, though unsweetened, was quite sweet. And Banana flavoured! So, following this fantastic recipe, I now have deliciously moist banana choc protein muffins! Ps. Trying to give this recipe 5 stars but my phone won't let me! Kate, your substitutions sound fabulous. I'll have to give it a try with whole eggs and coconut oil sometime-- yum! Made these fir the first time, and they are great. I used the branded ingredients in your list, but they came out a bit dry. Any suggestions for adding moisture? Hi Angela! Yes, just use the stevia equivalent of 1/2 cup sugar. Do you think I could use whole milk rather than almond milk or is almond milk drastically different? Hi Natalie! Feel free to sub in any milk you want-- it shouldn't make a noticeable difference. Hiya, just found this recipe and want to try it with my toddler, but she's allergic to almonds. Do you have any suggestions for subbing a different milk? Do you think canned coconut milk would work? Hi Jamie! You can use any milk you want, so coconut would be fine. Is there anything I could replace the protein powder with? Do you think ground flax (linseed) and ground almonds would work? I'll be substituting the almond milk with cream. Hi Clare! Protein powder is a very unique ingredient, so unfortunately I'm not sure could sub it in this recipe. Sorry about that! I love that you use protein powders in your recipes ! Most of low carb recipes online have super low protein which is annoying. I'll be making the muffins this week to have a break from my usual protein shake. Thanks!